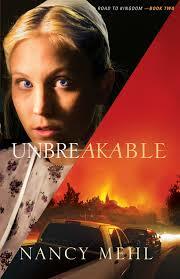 Combining mystery with a touch of romance against the Old Order Mennonite tenet of non violence, 'Unbreakable' begins with the news churches nearby the town of Kingdom are being targeted by arson. With the safety of their members becoming a real concern, a group of individuals, both Mennonites and English, decide to patrol the roads leading to the town. Almost immediately there is a definite split betwixt those who will carry a weapon and those who refuse, the possibility of any violence, against their faith. Against all this, we have Hope Kauffman whose feelings toward her intended are so confused both parties decided to end their betrothal. Enters her new suitor, Jonathan, whom unlike his brethren, believes it is time to take action and protect their town however the cost. Add to all this, a caustic, uncaring Sheriff, escalating threats from a mysterious source, a burning church and much confusion about when enough is enough, and you have an idea of what the author alludes in her plot. At times very slow, 'Unbreakable', Book 2 of the 'Road to Kingdom' series truthfully was not the entertainment I sought, although it brought to light no one is immune to doubts when it comes to beliefs. The rationale process behind this portion of the plot was perhaps tedious but never the less realistic. 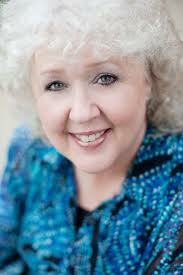 Nancy Mehl is the author of twelve books and received the ACFW Mystery Book of the Year Award in 2009. 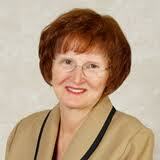 She has a background in social work and is a member of ACFW and RWA. AND NOW FOR NANCY MEHL'S GIVEAWAY! Enter today by clicking one of the icons below. But hurry, the giveaway ends on March 4th. 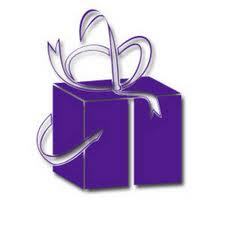 Winner will be announced at the "Unbreakable" Author Chat Party on March 5th. 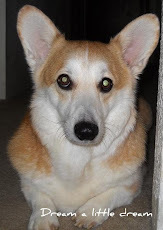 Connect with Nancy, get a sneak peek of her next book, try your hand at the trivia contest, and chat with readers just like you. 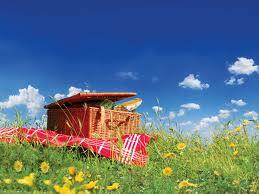 There will also be gift certificates, books, and fun Mennonite-themed giveaways. Amish pacifism is sorely tested in the Paradise Valley settlement in the 1920s. When an army of bandits descends on them, the Amish are saved by the last-minute arrival of government troops. But they soon learn that soldiers can be as cruel as the bandits themselves. Then a bishop travels to Mexico, and Caleb's daughters are finally able to marry, though the ban still looms for Miriam even as her beloved Domingo decides he must go off to fight in the coming war. As Caleb's frail hope of peace and freedom in Mexico slips away, he is left to ponder the question: In times of trouble, on whom should we rely? 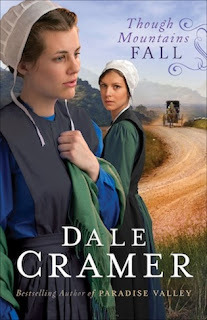 Starting with Paradise Valley (see review here) Dale Cramer gave us two additional books in the 'Daughters of Caleb Bender' Trilogy, with 'Though Mountains Fall', Book 3 last in the series. I would like to suggest you start with 'Paradise valley' and 'The Captive Heart' to truly appreciate the depth of the whole series. For those of you who are not yet familiar with this author, let me quickly say Dale Cramer's penmanship blends Amish genre with a touch of Louis L'Amour and legendary Zane Grey's western style! Who would have thought it possible? Yet he does and with unmistakable flair. 'Though Mountains Fall' is surely another feather in his cap! The Amish settlement in Mexico in the 1920's with Caleb Bender as the first Elder to have settled in Paradise Valley, struggles to survive. Renegade attacks, pernicious disease and general unrest in the colony have undermined the peaceful atmosphere Caleb and the other settlers strives to maintain. Caleb hopes the arrival of a Bishop might help to alleviate their concerns. But their beliefs are stretched to their limits when a Bandidos' attack is imminent and their only recourse is to ask for the Mexican government's help.This requires financial back up they are unable to meet and the local Hacienda owner is unwilling to intercede. When the Federales however finally arrive, they bring with them all sorts of new troubles leading Caleb to wonder if this valley is truly Gott's will for his family and friends after all. When tragedy hits yet again, the settlement's whole existence is questioned and Caleb humbly faces the harsh reality of failing to protect those he loves most. If I have been somewhat vague in relenting details, it is because to reveal more would be to spoil the intense plot! True to his previous writings, the author does not avoid honest yet harsh turmoil in his storytelling. Clearly Dale Cramer relies on his knowledgeable background as well as facts taken from an actual Amish settlement in Mexico, with the dramatic ending of the series, a reminder we cannot control events, only our actions. Furthermore I admit I enjoyed the series (or to clarify, the two books of the series I have read) and I understand the peaceful Amish community is not immune to the outside world's struggles. But...I prefer my readings to be less intense, leaning to enjoy more peaceful renderings of the Amish world. Note: Due to thematic contents the series recommended for mature readers only. 'Dale Cramer spent his formative years traveling the world as an Army brat, then settled in Georgia at the age of fifteen when his father retired. For more information, visit his website (HERE). I received this book free from BETHANY HOUSE PUBLISHERS as part of their blogger review program. I am disclosing this in accordance with the FTC 16 CFR, Part 255 'Guides concerning the use of endorsements and testimonials in advertising. I was not asked to write a positive review and all opinions expressed are entirely my own. For years, overachiever Terri (Kristy Swanson) and her idealistic sister, Mandy (Alberta Mayne), have kept their distance from each other, as well as from their parents struggling florist business. But when a tragic turn of events brings both women home, they discover just how much they need one another in order to continue their family legacy. Filled with romance, humor and hope, it s an endearing story about making time for the ones you love. If like me you like a clean, well done family movie with a heartfelt message, this one is for you! I spotted this title a while back and I was very happy to have a librarian recommended only this past week! Kristy Swanson of 'What If' stars in this movie along with Michael Shanks, Nicola Canvendish and UNICEF Ambassador Danny Glover amongst others. In 'The Bouquet' Nasser Group North delivers once again a moving story which merits a big accolade for its stunning set, family portrait and of course its warm message. Like many siblings, business savy Terri and ecology lover sister Mandy have grown apart, each invested in their own interest, one living some 2000 miles away and the other, a mere 20 miles away. Despite their rural America warm and caring childhood, neither makes much of an effort to be close to their parents or the family florist business, now struggling. When tragedy occurs, they must reach an agreement and either help each other or see everything their Mum and Dad worked for lost forever. 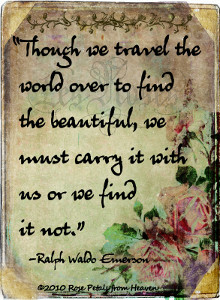 And in doing so, they just might discover love in the air if only they take the time to smell the roses! This wholesome story is directed by Ann Wheeler, an excellent director known for her approach to scripts we can all relate to. Danny Glover (actor/executive producer) in turn is the preacher and friend whose task it is to bring to the family the serious reality of the failing business. The amazing thing is this Christian movie does not rely on Hollywood's Fx but instead showcases some real talents! Bravo! With colourful floral scenes, (the garden and house are breathtaking! ), a sweet romantic story to remind us to be closer to our loved ones whilst there is still time and provides entertainement for the whole family! Note to readers: Unless stated otherwise reviews are not requested and reflects only my opinion! Book 1 of an exclusive 6-consecutive-month release Amish serial novel. New York Times Bestselling author, Wanda E. Brunstetter weaves a compelling love story brilliantly mingled with an unexpected twist. Instead of experiencing newlywed bliss, Meredith and Luke Stoltzfus are faced with the challenge of their young lives. Will the faith and love shared by this Amish couple be enough to bring them back together again, against all odds? The first thing you notice when you hold a copy of Wanda Brunstetter's latest novel is the singular format: you can hold the book in your palm at 7.3 x 4.1 x 0.6 inches, a mere 4 ounces! I admit to like this 'new' approach very much. 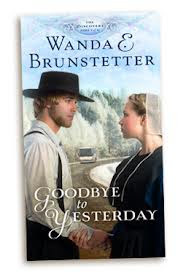 A New York Times Bestselling Christian author, there is something comforting in Wanda's wholesome writing and you just know it will be clear, concise, and a reflection of her deep respect for the Amish community. Whilst some might perceive the slow progress of the plot as tedious, let's remember this is after all part 1 of 6 in 'The Discovery' series and the author is merely establishing a background for her story. In 'Goodbye to Yesterday' we discover the slow economy is hard for all including Amish Meredith and Luke Stolzfus. Married only a year, Luke is having a difficult time handling the stress since losing his job at the furniture store. When the opportunity to learn a new trade comes his way he jumps at the occasion. This might just help him to fall back on his two feet and support his family. 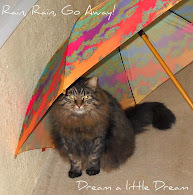 The drawback is that he must travel to Indiana to pursue this offer and with a winter storm brewing, Meredith is apprehensive at this temporary separation. There is also something very special she had hoped to share with her husband but now is not the time and all too soon, Luke is on his way. Whilst traveling to Indiana to learn his new trade from his uncle, Luke however makes a dramatic encounter which changes their lives perhaps forever. I remember well childhood similar formatted stories but I admit the conundrum of the story is enticing only up to a point. I have grown fond of reading a whole book versus time released chapters. Sadly, I might very well forget part 1 and never know the rest! Still, it is a matter of choice after all! 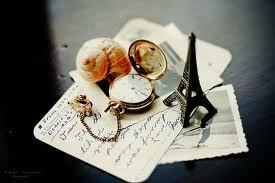 In so far Goodbye to Yesterday remains a good story! I received this book free from HANDLEBAR as part of their blogger review program. I am disclosing this in accordance with the FTC 16 CFR, Part 255 'Guides concerning the use of endorsements and testimonials in advertising. I was not asked to write a positive review and all opinions expressed are entirely my own. 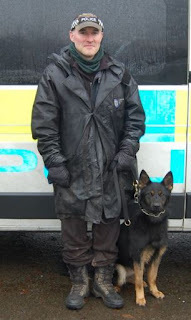 I could not resist closing the day without mentioning our loyal four legged friends when I heard of P.D. Peach or Police Dog Peach's story! According to the news P.D. Peach was required to file a statement, as witness, by the Crown Prosecution Service in West Midlands, England following an arrest. For a full explanation see articles (HERE)! Come on Ladies and Gentlemen of the Crown Prosecution Service, smile! 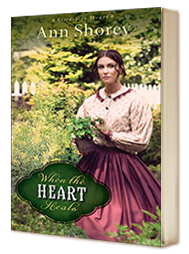 Combining a dynamic plot with spirited characters, Ann Shorey gives us a lasting historical novel in 'When The Heart Heals', guaranteed to be enjoyed by her loyal fans. This latest installment in her series 'Sisters At Heart' provides her readers with the perfect blend of romance and mystery, woven across a troubled historical background, the lean and hungry years following the Civil War. Rosemary Saxon joins the practice of Dr. Elijah Stewart in Noble Springs, Missouri in early 1867. Two years have gone by since the end of the Civil war but there are still many wounds to be healed, not all physical. Despite her experience caring for soldiers or perhaps because of it, Rosemary is seen as an outsider in the community and times are already hard for any woman alone. Rosemary finds joy in nursing and despite his earlier misgivings about her skills in herbal lore, Dr. Stewart soon learns to rely on her. In turn, she remembers well the younger doctor who deeply cared about his patients in a time of grievous conflict. These days, Rosemary's sole family in town, consists of her brother Curt and his wife Fay, her constant companion her faithful dog Bodie. When others needs her help, she finds herself at a crossroad and choices must be made. As a result Rosemary fears she might lose something very precious just as she found a measure of happiness. However she is not the only one with concealed secrets and when she becomes the object of threats, Rosemary must learn to trust again and ask for help. A beautiful story reflecting God's love and forgiveness for all, Ann Storey's second book in the series follows 'Where Wildflowers Bloom' (see review HERE), but can be read as a stand alone. I now join her many fans in asking when will the next installment be published ?! Suitable for anyone, 'When The Heart Heals' is worth 5 stars! ANN SHOREY has been a story collector for most of her life. 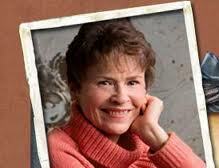 Her writing has appeared in Chicken Soup for the Grandma's Soul, and in the Adams Media Cup of Comfort anthologies. She made her fiction debut with the At Home in Beldon Grove series for Revell. The Edge of Light, released in January 2009, is the first in the series, followed by The Promise of Morning and The Dawn of a Dream. Her new Sisters at Heart series for Revell debuted on January 1, 2012, with Where Wildflowers Bloom. Book Two, When the Heart Heals, was release February 2013. When Ann's not writing, she teaches classes on historical research, story arc, and other fiction fundamentals at regional conferences. 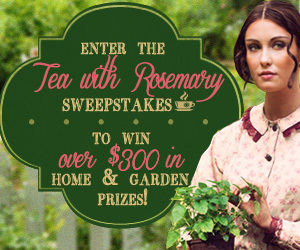 To celebrate the release of Book 2 in her Sisters at Heart Series, ANN SHOREY and REVELL are offering you the opportunity to win wonderful prizes! "All the technique in the world does not compensate for the inability to notice. 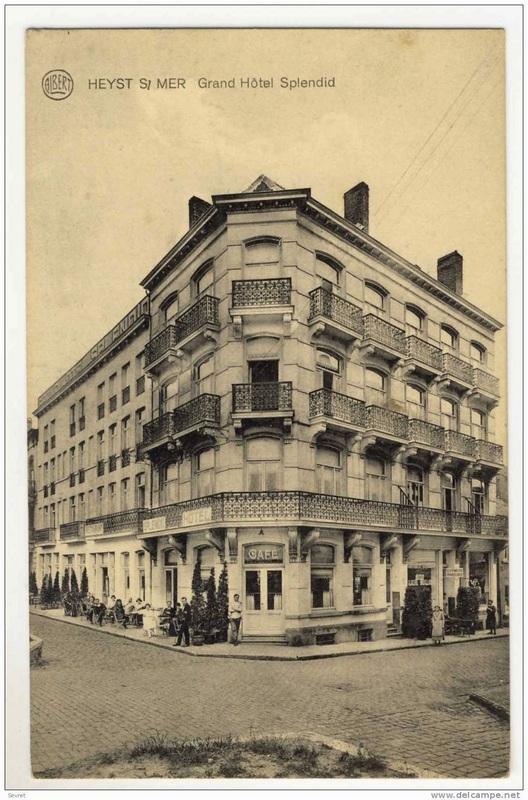 You can find pictures anywhere. It's simply a matter of noticing things and organizing them. You just have to care about what is around you and have a concern with humanity and the human comedy." The similarity with blogging is amazing! 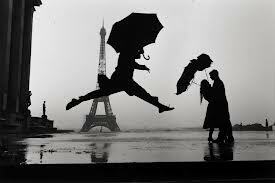 Photographer Elliott Erwitt's exibition last year in New York proved that a lifetime of observing the world can produce some amazing shots! Now in his eighties, his many accomplishments includes over 40 books on every subject. Seen through life's lenses, we can experience a whole new dimension to ART. 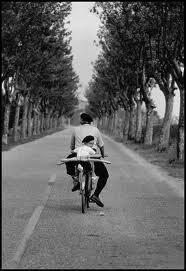 No digital cameras here, just a Leica, Mr. Erwitt's personal preference of course and hardly in my scope of expertise. 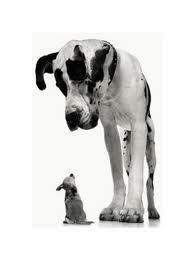 Mr. Erwitt's photos are well known but it is the stories behind which appeals to me the most! I decided to mention this because someone asked me recently my reasons for blogging, the aim in writing posts, why I read other bloggers' posts and comment? Reading and reviewing aside, I thought about it for awhile and came to the conclusion I witness messages on blogland as those messages in a bottle and I simply love the humanity behind the words, the good and the sad times, the accomplishments but also the daily happenings. 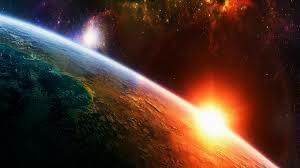 It is my window on the world and I would miss it if I had never experienced it. If my posts brings a subject to someone's attention and he or she just think for one moment about the 'message in the bottle', I will have accomplish my aim...Simply reaching out! 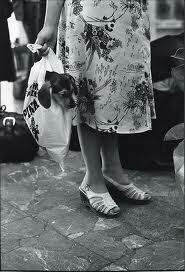 Note: Anyone interested in Mr. Erwitt's art may visit his website (HERE) for additional information. Please remember of course that unless specified any opinion expressed in posts are entirely my own and not requested by third party! Leaving for abroad with an empty suitcase for the sole purpose of 'splurging' , I come back to the island dragging a whole parcel of odds and ends I pick up along my trip home! Since I make it a point to bring back only the little things that makes us happy, often not found easily or if ever, I can justify going shopping without hearing any grumble from ex-RAF flyboy! This was a long time coming though as I hesitated to purchase the necessary tins due to their weight, the opportunity gone much too quickly! I was only too happy to have my niece sending it to me later on, bless her, and just in time for hubby's birthday! Lakeland had just what I was looking for! One surprise though: one tin had 2 removable bottoms! Nifty I guess if I ever need to replace one. Step two, Crust and filling assembled! And voila! First try though and I must remember to dampen the wax paper a little more so that it does not stick! Recipe (HERE) if you are interested! Sunday Tea time and hoping it taste as good as it looks! Thank you Michele!! Note: I am not endorsing Lakeland by any means but enjoy shopping there every chance I get! On television, Kevin Sorbo portrayed an invincible demigod; in his real life, a sudden health crisis left him partially blind and incapacitated at just thirty-eight years old. Yet since appearances are everything in Hollywood, he hid the full details about his condition from the press and continued to film Hercules, which was the number one TV series in the world. In this inspiring memoir, Sorbo shares the story of the crisis that ultimately redefined his measure of success. Like any parent I remember with fondness my son anticipating 'Hercules' on the telly. I admit however I took little attention to the name behind the figure, taking at heart however this seemingly greater than life role model was gentle, clean and funny! His countless fans couldn't praise him enough for his kindness and honest dedication to the world of sports and he was a Christian. Good enough for me! I usually shy away of autobiographies but this title attracted my attention a couple of weeks back on a library shelf as I recognized the face and well, the rest is history. Here I am! Of course I had to take my turn in reading 'True Strength'! Hercules never lost his appeal in our household! 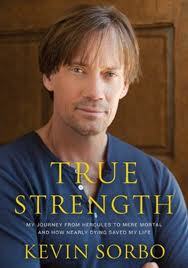 As I read it became evident Kevin Sorbo is just a mere mortal after all! This book describes his journey through countless hardships including his fight against a life threatening illness which puzzled the medical community! It begins with a aneurysm sending blood clots throughout his body causing eventually several strokes, leaving him partially blind and literally incapacitated. This remarkably fit celebrity recounts his nightmarish battle to regain a modicum of quality life whilst offering hope and encouragement to those families and individuals who are seemingly fighting for their health. Kevin Sorbo's story reflects his battle to overcome his biggest challenge at a time when everything was going right for him: his career was the epitome of success and he had found his soul mate in Sam, his wife, a Christian like himself. Not being prone to excess and having no hereditary reasons for the illness, Kevin found himself facing the psychological insecurity as well as nemerous physical aspects of his dramatic condition. Despite his penchant for (juvenile) expletives I made a point to finish Kevin Sorbo' story as I joined the fans who admire the candid account of a vigorous 38 years old faced with a tremendous downturn in his life yet emerging even stronger than before. Placing his faith in God and with the staunch support of his lovely wife Sam he has yet to regain the full extent of his original health and faces more surgical procedures in the future. But he has learned to overcome his doubts, handles the pain and counts his many blessings, leading his family and millions of fans to believe he truly is Hercules! A remarkable story worth reading, a magnificent lesson in courage and a reminder that with Him, there is always hope! 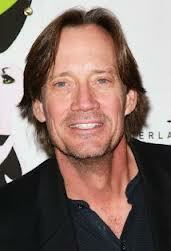 Kevin Sorbo was born in Minneapolis, Minnesota. 100% Norwegian and proud of his Viking heritage! Best known for his 7 year series, "Hercules, the Legendary Journey's" from 1993-2000. Hercules became the most watched TV show in the world. 2000-2005 he was Captain Dylan Hunt on "Gene Roddenberry's Andromeda" which was America's number one first run syndicated show for its entire run. 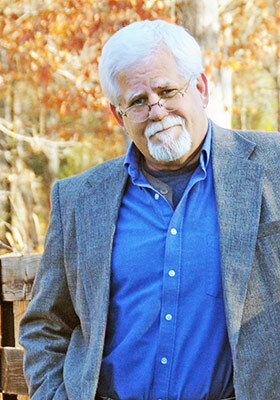 Actor, director, and producer for over 30 years, and now a writer! 2011 recipient of The Movie Guide Awards "Most Inspirational Performance of the Year for his performance in the faith based movie "What If". Sorbo has also starred in over 40 movies including "Kull, the Conqueror", Walking Tall: the Payback", "Soul Surfer", "The Santa Suit", "Poolboy: Drowning out the Fury", "The Christmas Angel", "Abel's Field", "God's Not Dead", "Julia X", and "Single in South Beach". Note to readers: This review was not requested by either author or publisher and reflects only my opinion! A Sweet Time It Is...Happy Valentine's Day!